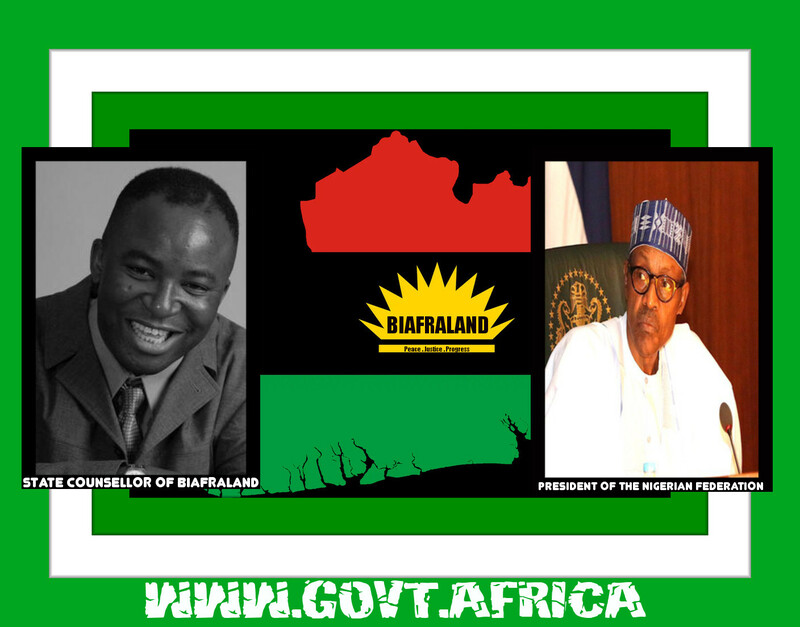 Government of Biafra | Monthly Sermon | October 2017 | "I Am Going to Tell on You." The Following (Verified) Papers and Transcriptions (below) were Quietly Emailed to Me , by a Distinguished Member of the Nigerian Civil Service - a Few Weeks Ago (or so). Please Be Advised that I am Not Fundamentally Interested in Apportioning Blame to Any of the Named Parties (Below) ; as I currently understand that the Two Nigerian Petroleum Ministers (in Question) have (since) now had a (Well-Publicized) , One-Off , Physical Meeting - Albeit After the Junior One (Literally) had to Publicly Beg the Senior One (in Writing) for an Official Ministerial Appointment. It is Also Appropriate to Note that the National (Legislative) Assembly of Nigeria may soon be (Competently) Probing the Matter ; along with Countless Other (Anti-Corruption) Entities , Agencies and NGO's.
. . . Hence the Relative Silence of the State Counsellor on the Issue . . . 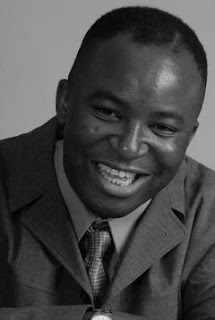 However - What Primarily Astonishes Me in this Particular Matter is How , Apparently for Weeks (on End) , prior to this Utterly Embarrassing Quagmire , Dr Ibe Kachikwu - an Accomplished Former OPEC President , an Eminent Doctor of Law , a Top Corporate Captain of Industry , an Internationally Trained Technocrat of Formidable Global Renown , and the Current Petroleum Minister of State (of Southern Igbo Delta Extraction) - was not even allowed Any Direct Physical Access (Whatsoever) to General Muhammadu Buhari , the President of Nigeria (of Northern Hausa Fulani Extraction) ; most especially When Buhari Also Doubled as the (Senior) Petroleum Minister within the Very Same Petroleum Ministry (in Question).
. . . Everything Else is of Secondary Concern to Me . . .
Hopefully , The Office of State Counsellor would Seriously Want to Believe that the Hallowed NNPC Building , (where Dr Kachikwu Himself is Ministerially Based) , is Not (Slowly Morphing into) Some Sort of Glorified Kindergarten Playground - where (Almost) Everybody (Everywhere) is Angrily Threatening to Report Each Other to the Headmaster ( As Per : " I Am Going to Tell on You ! 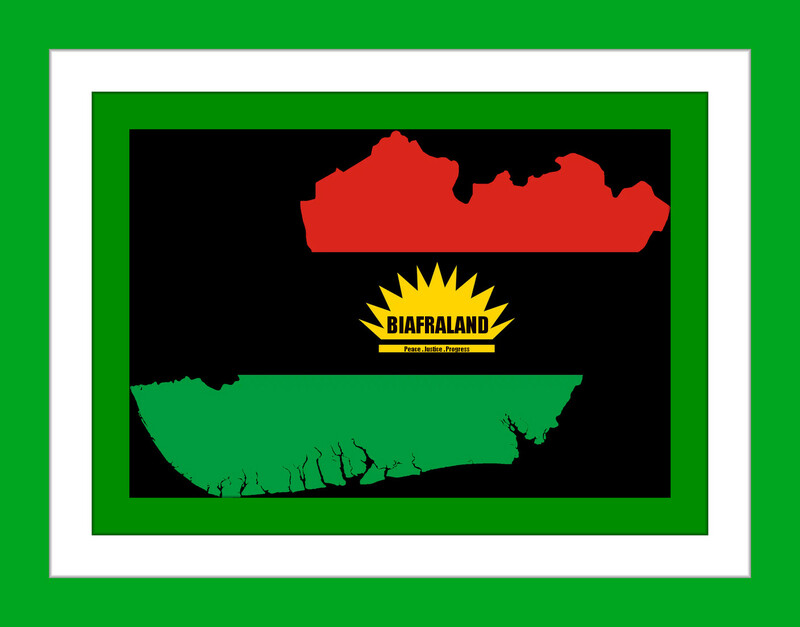 ").
. . . That Being Said : Where (Exactly) is the (Non-Selective) Justice in President Muhammadu Buhari (Bitterly) Going After a Former Petroleum Minister (Diezani Alison Madueke) of Southern (Igbo Delta) Extraction - Most Especially While (Certain of His Brethrenly) Petroleum Barons (of Northern Hausa Fulani Extraction) are Obviously (Still) Having a Field Day ? . . .
Let me start by welcoming you back to the country and by thanking God for your recovery from ill health. I join millions of Nigerians who rejoice and thank God for grating you the grace of healing and strength to continue the good work you have done for Nigeria in your long illustrious career in public service. I would have wanted to come personally after receiving you at the airport to facilitate with you and discuss matters herein contained, however, I have been unable to secure an appointment to see you despite very many attempts. Mr. President, yesterday like many other Nigerians. I resumed work confronted by many publications of massive changed within NNPC. Like the previous reorganizations and reposting done since Dr. Baru resumed as GMD. I was never given the opportunity before the announcements to discuss these appointments. This is so despite being Minister of State of Petroleum and Chairman NNPC Board. The Board of NNPC which you appointed and which has met every month since its inauguration and, which by the statues of NNPC is meant to review these planned appointments and postings, was never briefed. Members of the Board learned of these appointments from the pages of social media and the press release of NNPC. At the minimum and like all other Parastatals being supervised by me at the Ministry have continued to do, and in compliance with the proper governance standards expected of a serious public institution, these executive actions by NNPC were supposed to benefit from mine and the Board’s input prior to presentation to you. I need to add that backdoor and present same to the acting president were met with a request that this be discussed with me. This was never done. 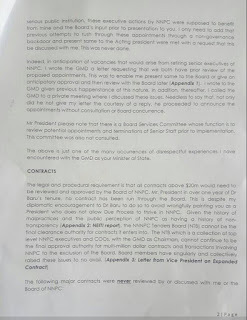 Indeed, in anticipation of vacancies that would arise from retiring senior executives of NNPC, I wrote the GMD a letter requesting that we both have prior review of the proposed appointments. This was to enable me to present same to the Board or give an anticipatory approval and then review with the Board later (Appendix 1). I wrote to the GMD given previous happenstance of this nature, in addition, thereafter, I called the GMD to a private meeting where I discussed these issues. Needless to say that, not only did he not give my letter the courtesy of a reply, he proceeded to announce the appointments without consultation or Board concurrence. Mr. President please not that there is a Board Services Committee whose function is to review potential appointments and terminations of Senior Staff prior to implementation. This committee was also not consulted. The above is just one of the many occurrences of disrespectful experiences I have encountered with the GMD as your Minister of State. The legal and procedural requirements are that all contracts above $20m would need to be reviewed and approved by the Board of NNPC. Mr. President over one year of Dr. Baru’s tenure, no contract has been run through the Board. This is despite my diplomatic encouragement to Dr. Baru to do so to avoid wrongfully painting you as a President who does not allow Due Process to thrive NNPC. There are many more Your Excellency, in most of these activities, the explanation of the GMD is that you are the Minister of Petroleum and your approvals were obtained. However, the correct governance should be that the Minister of the State and the Board review the transaction and give their concurrence prior to presentation to you. As I many cases of things that happen in NNPC these days. I learn of transactions only through publications in the media. The question is why is that the Parastatals which I supervise as Minister of State or Chair of their Board are able to go through these contractual and mandatory governances processed and yet NNPC is exempt from these? I know that bravado management style runs contrary to the cleansing operations you engaged me to catty out at the inception of your administration. This is also not in consonance with your renowned standards of integrity. 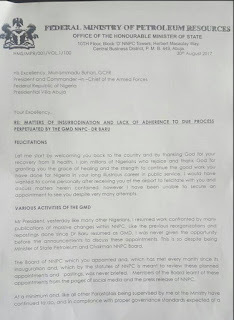 Your Excellency, even though the appointments of the other Parastatals Heads in my Ministry were made without my input. I have maintained a cordial and respectful relationship with all. Parastatals under my supervision have continued to excel in their respective areas and adhere to mandatory governance processes. However, my working relationship with GMDs has been fraught with humiliation, sidelining and campaigns of character defamation against me. This is particularly frustrating given many contributions I have made to the growth and stability of the Nigerian Oil and Gas industry through the many policies I have introduced August 2015. If NNPC is considered and known to be one of the Parastatals under the Ministry, why does the GMD refuse to report into my office or to the Board on the serious issues such as above especially given that I have been by Your Grace, the Minister overseeing these Parastatals for two years? Your Excellency, even at the time when we were unfortunate to have you away to England for a medical checkup, the situation remained the same. The matter of collaborative meeting is another issue altogether. When I call for meetings, the GMD chooses which meetings he wishes to attend and those he chooses to send subordinate. He sends such subordinates without the courtesy of a call to explain his absence. The unattended meetings are in the majority. In all of 2017, I have been able only to get him to have one on one meetings with me about four to five times. At inception, I instituted a Monthly Parastatals review meeting with Head of Agencies and another with the all the Senior management in all the Parastatals. 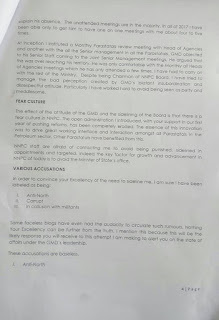 GMD objected to his Senior Staff coming to the Joint Senior Management meetings. He argued that this was overreaching his territory. He was only comfortable with the Monthly of all Heads of Agencies meetings which he has only attended a few times. I have had to carry on with the rest of the Ministry. Despite being Chairman of NNPC Board. I have tried to manage the bad perception created by GMDs blatant insubordination and disrespectful attitude. Particularly I have worked hard to avoid being seen as pretty and meddlesome. 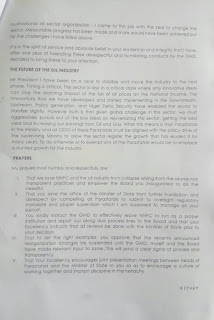 The effect of the attitude of the GMD and the sidelining of the Board is that there is a fear culture in NNPC. The open administration I introduced, with your support in our first year of pushing reforms, has been completely eroded. The essence of this innovation was to drive great working interface and interaction amongst all Parastatals in the Petroleum sector. Other Parastatals have benefitted from this. 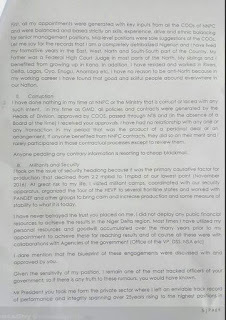 NNPC staff are afraid of contacting me to avoid being punished, sidelined in appointments and targeted. Indeed, the key factor for growth and advancement in NNPC of today is to avoid the Minister of State’s Office. In order to convince to your Excellency of the need to sideline me, I am sure I have been labeled as being. Some faceless blogs have even had the audacity to circulate such rumors. Nothing Your Excellency can be further from the truth. I mention this because this will be the likely response you will receive to this attempt I am making to alert you on the state of affairs under the GMD’s leadership. First, all my appointments were generated with key inputs from all the COOs of NNPC and were balanced and based strictly on skills, experience, drive, and ethnic balancing for senior management positions. Mid-level positions were sole suggestions of the COOs. Let me say for the records that I am a completely detribalized Nigerian and I have lived my formative years in the East, West, North, and South-South part of the Country. My Father was a Federal High Court Judge in most parts of the North. My siblings and I benefited from growing up in Kano. In addition, I have resided and worked in Rivers, Delta, Lagos, Oyo, Enugu, Anambra, etc. I have no reason to be anti-North because in my working career I have found that good and skillful people abound everywhere in our Nation. I have done nothing in my time at NNPC or the Ministry that is corrupt or laced with any such intent. 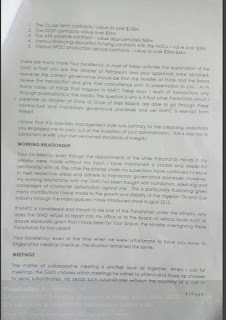 In my time as GMD, all policies and contracts were generated by the Heads of Division, approved by COOs, passed through NTB and (in the absence of a Board at the time) I received your approvals, I have had no relationship with any one of or any transaction in my period that was product of a personal deal or an arrangement, if anyone benefited from NNPC contracts, they did so on their merit and I rarely participated in those contractual processes except to review them. Anyone peddling any contrary information is resorting to cheap blackmail. I took on the issue of security headlong because it was the primary causative factor for production that declined from 2.2 mpbd to 1mpbd at our lowest point (November 2016). At great risk to my life. I visited militant camps, coordinated with our security apparatus, organized the four of the HEVP to several frontline states and worked with PANDEF and other groups to bring calm and increase production and some measures of stability to what it is today. I have never betrayed the trust you placed on me. I dare mention that the blueprint of these engagements were discussed with and approved by you. Given the sensitivity of my position, I remain one of the most tracked officers of your government, so if there is any truth to these rumors, you would have known. Mr. President you took me from the private sector where I left an enviable track record of performance and integrity spanning over 25 years rising to the highest positions in multinational oil sector organization. I came to this job with the zeal to change the sector. Measurable progress has been made and more would have been achieved but for the challenges I have listed above. Mr. President I have been on a race to stabilize and move the industry to the next phase. Timing is critical. The sector is also in a critical state where only innovative ideas can stop the alarming impact of the fall of oil prices on the National Income. The innovations that we have developed and stated implementing in the Downstream, Upstream, Policy generation and Niger Delta Security have enabled the sector to stabilize slightly. However, truth is that given the global challenge in this sector, we must aggressively pursue out of the box ideas on rejuvenating this sector, getting the best yield and increasing our earnings from oil and gas. What this means is that Parastatals in the Ministry and all CEOs of these Parastatals must be aligned with the policy drive of the supervising Ministry to allow the sector register of the growth that has eluded it for many years. To do otherwise or to exempt any of the Parastatals would emplace a stunted growth industry. You kindly instruct the GMD to effectively leave NNPC to run as a proper institution and report out along due process lines to the Board and that your Excellency instructs that all reviews be done with the Minister of State prior to your decision. That to set the right examples, you approve that recently announced reorganization changes be suspended until the GMD, myself, and the Board have made relevant input to same. This will send a clear signal of process and transparency. That your Excellency encouraged joint presentation meetings between heads of Parastatals and the Minister of State to you so as to encourage a culture of working together and implant discipline in the hierarchy. These in my view, Mr. President, will provide you balanced analysis on issues and avoid exposing the exalted office of Mr. President to ridicule. It will also reduce nonproductive, unsubstantiated rumor peddling. 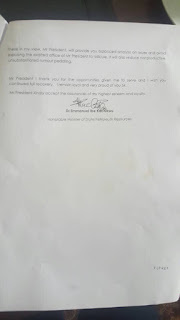 Mr. President, I thank you for the opportunities given me to serve and I wish you continued full recovery. I remain loyal and very proud of you Sir. Mr. President kindly accept the assurances of my highest esteem and loyalty. Honorable Minister of State Petroleum Resources.